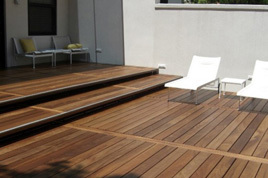 Some types of decking are more suited to certain geographical locations. 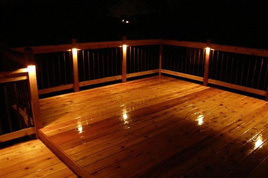 However, mostly it’s simply a question of your personal preference, which one will complement your house and garden the best. 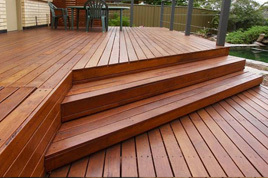 Here is a summary of just some of the different types of decking we offer. 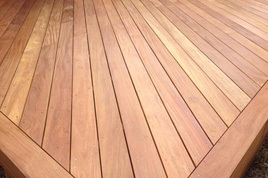 Please contact us for more options, we can source any timber upon request. Most of these boards come in a variety of different widths ranging from 67mm to 140mm wide and different thickness’s from 18mm to 32mm. 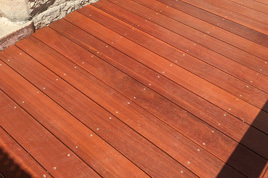 Very popular board, highly durable reddish brown hardwood grown in the pacific rim region. It offers good value for money. 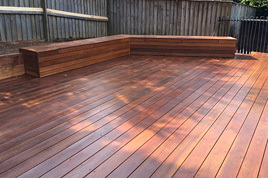 A pressure treated softwood board that is suitable for all uses. 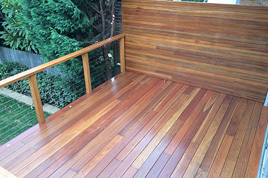 This is the most economical decking board on the market. Can be fixed using stainless steel nails, it requires regular sealing or painting to get the longest life out of this board. 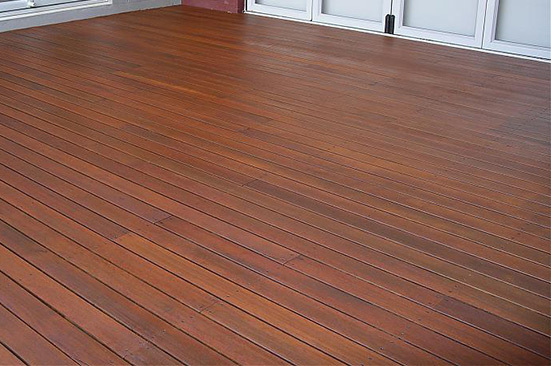 Australian grown, a very light brown/blonde in colour, it is consistent in appearance with little variation between boards normally , its suitable for use in bush fire zones. A very hard-wearing timber and an excellent all rounder. This is the hardest toughest board out there, hence the name Ironbark! It not only looks amazing with its interlocked grain and beautiful mix of tones it will also outlast every other board on the market. 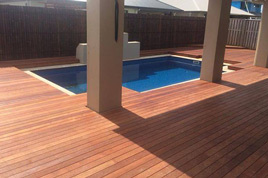 An imported more economical alternative to Australian Grey Ironbark for those who want absolute longevity, it comes in various shades of a rich dark red and created a stunning looking deck. A very unique colour and grain. 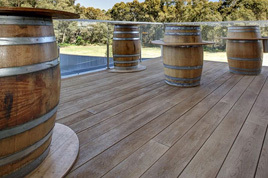 Pale yellow in colour very similar to blackout but with a beautiful pronounced interlocked grain, australian grown it is extremely durable, this will really make your deck stand out. Grown in northern new south wales and south eastern queensland this is probably the most popular board we do and not without reason, its competitively priced, very durable and its perfect mix of shades and beautiful interlocked grain means you can’t go wrong with this board. 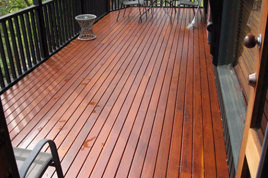 An extremely hard timber which is a beautiful rich red colour. 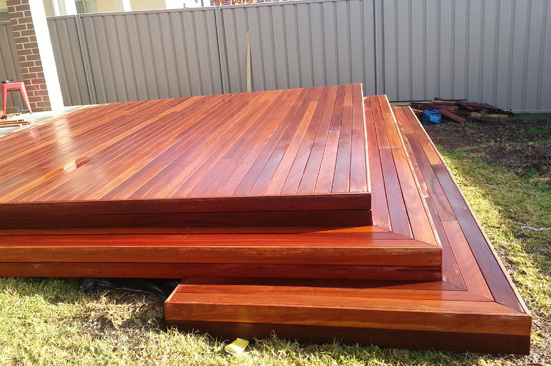 Grown in western Australia, Jarrah offers a fantastic natural resistance to the elements.Tough, long lasting and incredible colours make this perfect if you are after a really unique look. This timber is imported and is very similar to Northern Brush box, its also sometime called Pelawan, this is an excellent board very economical and unlike merbau does not bleed which is a major advantage. 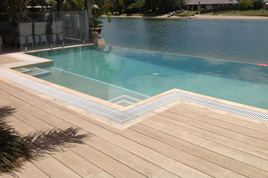 We are experienced installers of Millboard composite decking, imported from the UK, the cutting edge technology used to manufacture the boards, extensive warranty along with the realistic timber finishes which no other composite board can offer makes this board one that will truly stand out and be admired. 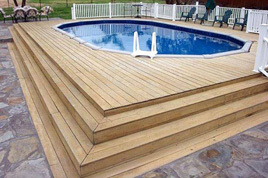 These boards come in widths of upto 200mm. 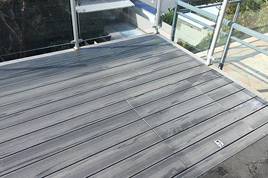 This product is the last word in composite decking, unrivalled in looks or durability it looks amazing. 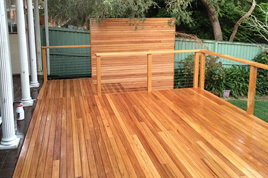 We are proud to be certified, registered installers of Modwood decking. 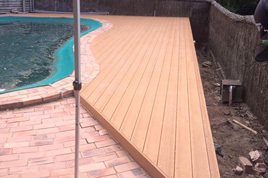 We have built numerous Modwood decks all over Sydney and our experience in fitting Australia’s number 1 composite decking board means we are perfectly placed to advise you on board selection and carry out seamless installations of this excellent product. 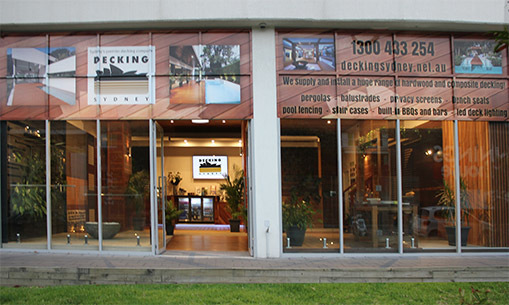 Modwood decking the Australian made brand leader in composite decking, available in 4 colours and reversible finishes, can be fixed using ‘klevaclips’ for a seamless no visible fixing clean sleek look. 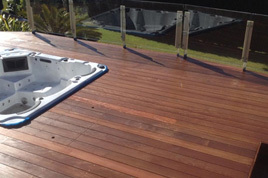 We are experts in building modwood decks and can offer an unrivalled expertise in installing this superb product at very competitive pricing.